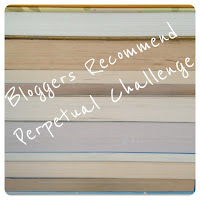 Bloggers Recommend Challenge – December 2013 – my books. my life. The tree is up, the stockings are hung, and there is a chill in the air (well, not really). It’s definitely December. The December Bloggers Recommend Newsletter should have shown up in your inbox last week, but if it didn’t, you can view it here. This month, the bloggers are recommending previously-released book so you may have already read a few. I’m still hoping to read The Other Typist one of these days. Anita and I were the only one’s to link up reviews last month. I’m starting to think that this challenge, while a good idea, may not have staying power. I don’t have the free time to spend promoting it and it isn’t happening organically. So I am giving it one last try this month. If you have reviews to link up (from any month’s newsletter), please do, so I know there is interest in continuing. I have a review from last month! Blogging has been so hard. We should chat about what I can do to help. How come you get the cute pink shoes captcha?